We welcome Green Hope High School's new Guitar teacher, Mr. Willem Lutter, to the talented staff of Fine Art teachers at our school. Feel free to contact him with any questions you may have; wlutter@wcpss.net. 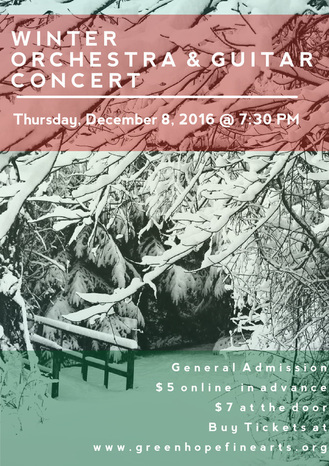 Mr. Lutter has put together a memorable concert for this new year with a variety of music and talents. 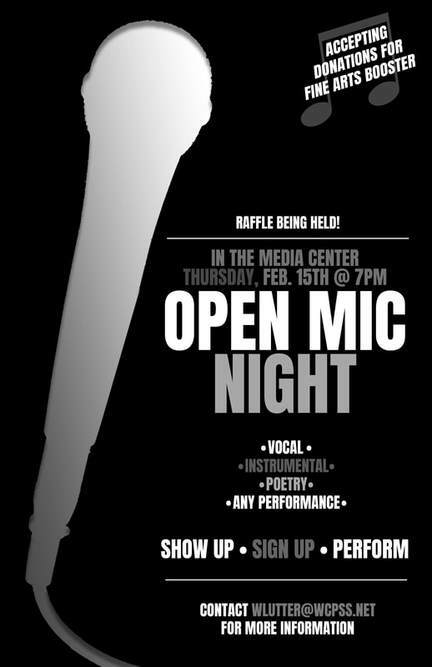 - $7.00 at the door, payable by cash or check. 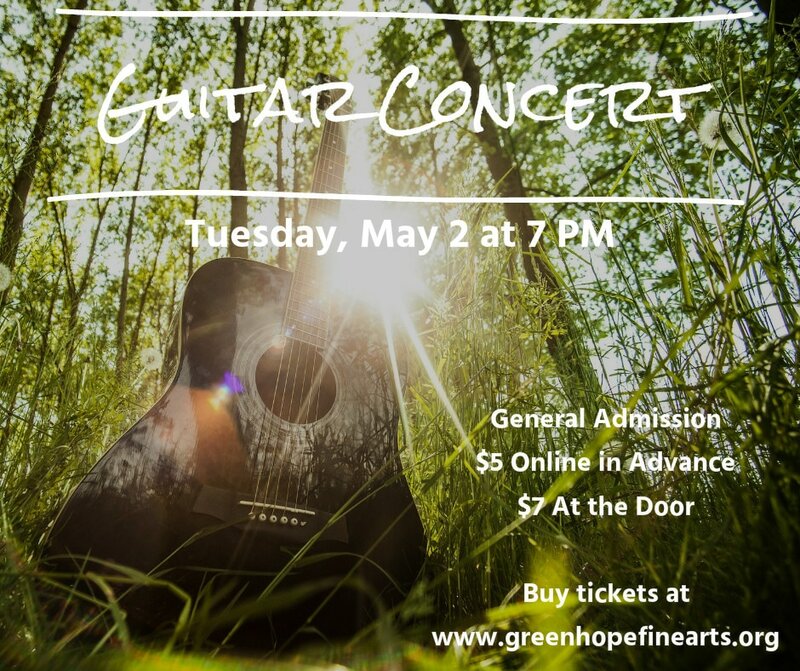 Our awesome Guitar students have their Spring Concert on Tuesday, May 2 at 7 PM! Buy tickets at the door for $7 (cash or check). All seats are General Admission. Box Office opens at 6:15 PM. Doors open at 6:45 PM. ​Enjoy some fabulous music this Tuesday!